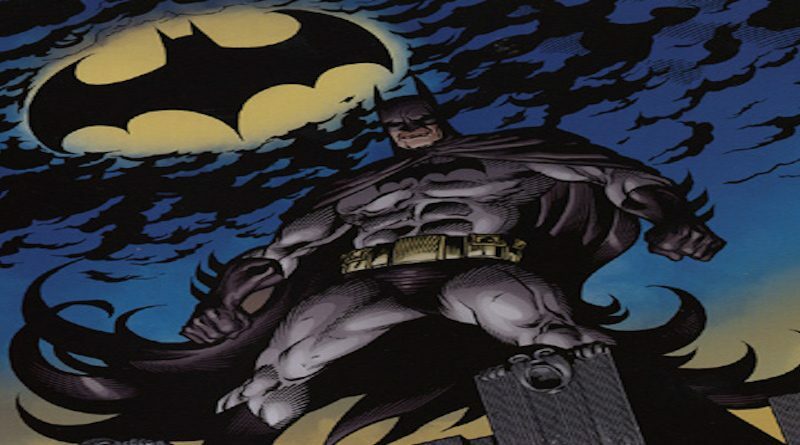 The Dark Knight is known to be one of the darker mainstream series, but Dave Lapham, author of the gritty Stray Bullets series, pushes the limits in Batman: City of Crime as he drags Bruce Wayne through one of the more controversial plots. 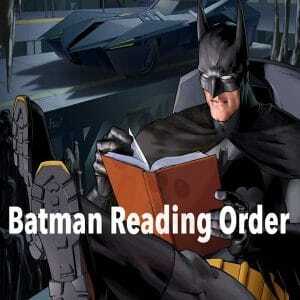 We follow Batman as he tries to shut down a new drug ring that is proving problematic for the people of Gotham. To make matters worse, Batman must also deal with a 14-year old boy is getting a little too associated with Gotham’s underground. Unfortunately, I have to say I was not a big fan of the art work. 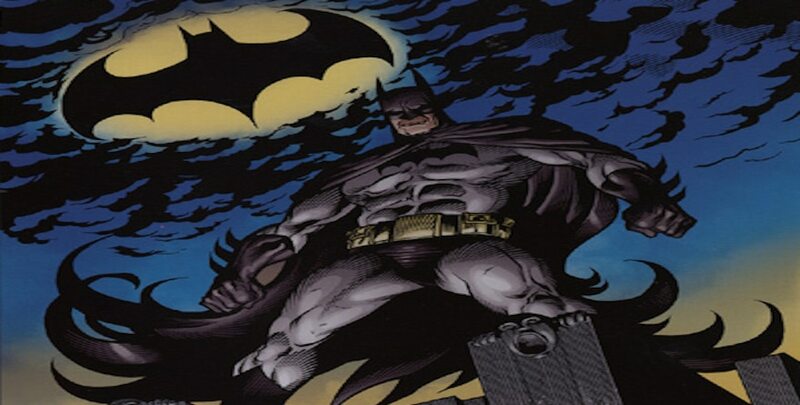 The cover art was especially lacking in quality comparing to other Batman or DC comics from the mid-2000s. While it was definitely a unique style that stuck out more (and certainly not the worst art), it was just not something I was super-fond of and I would have hoped for better attention to details in such a popular series. 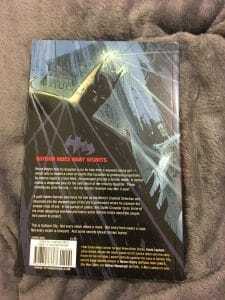 What really annoyed me the most about Batman: City of Crime or rather the Titan Books versions I got (are they all like this?) is the quality of the glue holding the pages together. During the read the pages fell apart easily and this has only happened to this book ever. The paper feels like high quality paper but now the version I have is useless and just ruins the collection. Ho hum! While I found myself very critical of the artwork, I did thoroughly enjoy the plotline. 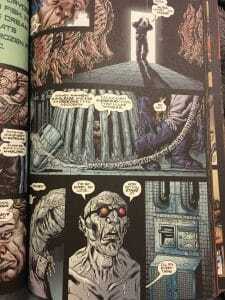 The comic opens right up with grisly discovery of a young body, indicating that the drug trade has returned to Gotham and become a problem to Batman. 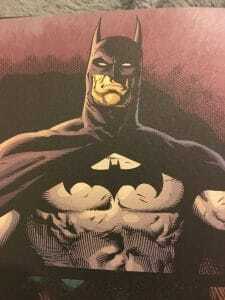 During his journey to track down and stop the source, he will have to deal with both villains and the Gotham City Police Department alike as he takes the role of edgy vigilante like many of his early appearances. Like these early appearances, he also ends up fighting solo. The first chapter goes in to address where all of the Batman family had run off too. While I appreciate knowing what happened to every character (and this summary is certainly helpful for someone who doesn’t loyally follow the series), I do think it was a lot of information to push in all at the beginning and if I hadn’t known the character backgrounds so well, it would have been hard to follow. This is especially true considering Cat Woman, James Gordon, and Killer Croc were a few other big characters to make an appearance right in the first issue, but it is important to remember that this is a rather long comic. As the story continue, casualties ensue and Bruce finds himself alone at a burning building that arouses suspicion. Of course, he doesn’t stay alone for long and Timothy Drake soon joins as Robin. This is where the plot seems to do the impossible and take an even darker turn. As it seems that firefighters cannot do much more, Batman intervenes and tries to save as many as possible. In doing so, he makes the horrifying discovery that a bunch of pregnant girls appeared to be held hostage and, sadly, he was only able to save one after the entire building collapses. Even worse, officers at the scene try to directly blame Batman for meddling. 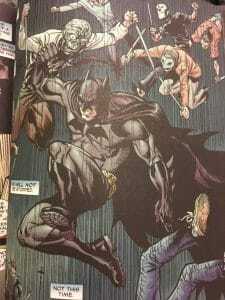 On top of the fact that Batman had just finished scolding a girl before she had been found dead (and subsequently learning she visited the manner just a few hours before she died), Batman spends this dark time riddled with guilt and focusing on those he couldn’t save versus what he was able to accomplish. These dark and borderline-realistic scenarios are defiantly the kind of thing I would expect and look forward to in Batman comics. While some of the increasingly depressing scenarios may seem a bit dramatic, they are something that I rather enjoyed about the book. There is also something to be said about the humanizing moments of Batman that have also become rather characteristic of his image. 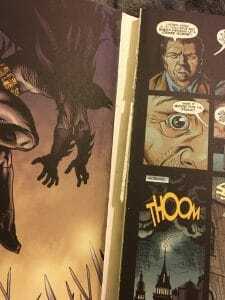 I feel that taking the moments within the comics to really address the kind of emotional turmoil that crimefighting is putting Batman through is an important element to his whole image. While these realistic plotlines are great, not even half way through the comic do we start to see a little shift into some of the more super human characters that have become essential to comic franchises. 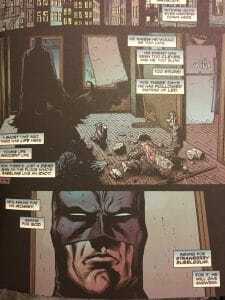 As the storyline develops even further, Batman has much more to be worried about than just a drug cartel. Villains like the Ventriloquist and those of The Body add an interesting twist to the storyline. Compared to other arcs within this comic, I must say that the plot surrounding these characters (than takes up nearly half of the comic) is very interesting and original. Unlike some of Batman’s other stuff, these villains were in no way expected or predictable. Although I really do like the whole concept of Batman cleaning up Gotham City in a way that addressed real issues among our society (such as drugs, domestic violence, and so on), it is fresh and interesting to see how he interacts with more superhuman problems. For this reason, I will try to avoid spoilers in what goes on. Just know there are a lot of deaths, action, and dark storylines. Whether it be Killer Croc or these guys, I personally find it very satisfying to watch Batman go up against superhuman villains. I feel like Batman fight scenes in general are known for keeping up your suspense. If you are not counting being rich, Batman really has no superhuman powers. He has to rely on strategy versus brute strength. While things get dark and people do die, but for the most part, Batman pulls through by the end through clever writing that I genuinely enjoy reading. I think that Lapham did in excellent job on keeping these elements within fighting scenes -specifically with how he deals with The Body. There was certainly a LOT of stuff going on in this comic. 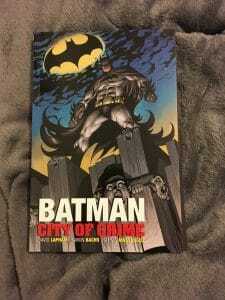 I think Lapham did a good job encompassing the dark and gritty atmosphere of the Batman series with this comic. I really enjoyed how the plot addressed both superhuman and realistic villains. Both plots were solid and the transition/ interaction between the two was great! It really offered readers the best of both worlds. The inclusion of so many interesting characters was also a strong point. With appearances from The Penguin, Killer Croc, Catwoman The Body, and The Ventriloquist, I think this was also a way to get kind of the “best of both worlds.” For veteran readers, it’s nice to see some favorite and familiar faces while still getting to see some of the less known characters. For newer readers, you get to meet a lot of great characters and I think this comic writing went above and beyond to offer a lot of background on the characters and storyline in case you were not familiar with the previous storyline. That being said, this kind of thing can sometimes be a bit much for readers who already know what’s going on. I think; however, this was just the right amount of background without going overboard. Overall, a very well written story that can be enjoyable for readers both new and old alike. I give Batman: City of Crime a 3.8/5 because I really wish the artwork could have been up to standards with the overall storyline. I will say that this is certainly not the kind of book you quickly skim or pick up ad read in a day. You really have to sit down and pay attention because there is a lot going on. Awesome action scenes, great character development, and a good plot make this a recommended read in my book.